You may have read about the long-standing concerns about Roundup being a carcinogenic agent (cancer causing) to humans. You may have wondered as you sprayed Roundup weed killer onto the walkway leading into your home or in your backyard if it was really harmful (1). According to the UN’s “France-based cancer research arm of the World Health Organization” International Agency for Research on Cancer IARC (IARC) glysophate (Roundup) is a carcinogenic agent. In fact, France has banned all “glyphosate-based products” from its garden centers. Introduced in 1970, Monsanto’s Glyphosate (Roundup) is “used globally in industrial farming.” In today’s world, glyphosate is “manufactured generically” and is found in over 750 products. The IARC states that glyphosate is the “the highest global production volume of all herbicides” (2). While homes are part of that global use, by far the highest volume is used in agriculture and forestry. 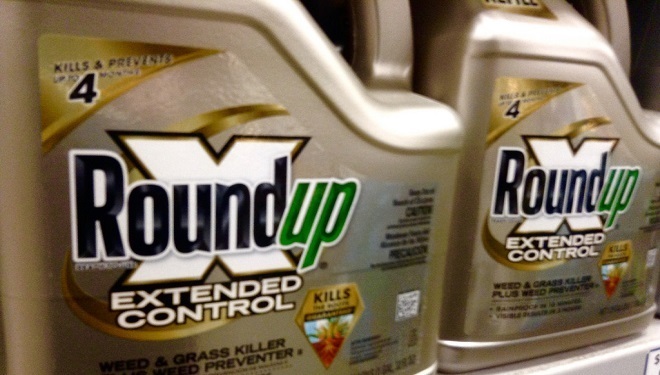 On June 14, 2015, French Ecology Minister Segolene Royal announced France was banning the sale of Monsanto’s Roundup weed killer and other glyphosate products from all of its garden centers. Phys. Org reported that France had banned the “sale of Monsanto herbicide Roundup in nurseries” (3). The decision to ban Monsanto’s Roundup herbicide along with all glyphosate products was based on the evaluation of the IARC (2). On March 20 2015, the IARC published the results of its year-long evaluation of five insect and weed killers. Glyphosate, the chemical used in Roundup was included in the group. The other insect and weed killers were tetrachlorvinphos, parathion, malathion and diazinon (4). The Working Group spent a week in March assessing the “carcinogenicity” of these five insect and weed killers. –> Glyphosate: Most widely used herbicide in world. –> Diazinon: Production volumes low and decreased further after 2006 due to restrictions in the USA and the European Union. Limited information on the use in other countries. –> Parathion: Use severely restricted since 1980s. All authorized uses cancelled by 2003 for European Union and US. –> Tetrachlorvinphos: Banned in European Union, the US uses it on livestock and companion animals, including in pet flea collars. No information available for other countries. Will Other European Countries Follow France in Banning Roundup? The National Association of Consumer and Users (CLCV) not only asked France but other “European officials to stop selling glyphosate-based products to amateur gardeners” (5). Since Monsanto has genetically engineered and modified its seed crops to be Roundup resistant, a worldwide ban could have a devastating impact on the giant agri-business. I would note that Monsanto only makes around 9% of all glyphosate in the world. 80% is made in China. What Caused These Strange Ocean Sounds?